It is the first theme party of Galicia but is well attended. 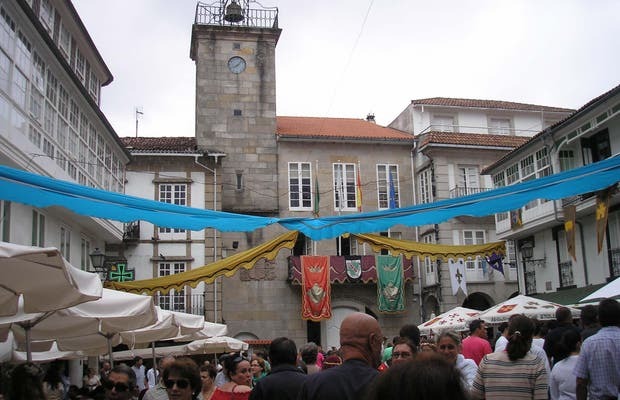 First we attended the speeches given by the priest and the town's mayor to the masses against the feudal master "Count de Andrade". Then there is a brawl and finally the death of the Count at the foot of the tower. All enlivened by cries, sounds of laughter and photographic cameras. All staging!